← Tool Chest By Paul Sellers Part 4, hardware and tools, complete. As seen in a previous post I have somewhat of a La Pavoni problem. I like the old ones, the 1972, 73, and 74s. The group head screws into the boiler. The newer ones the group head bolts to the boiler. The boiler cap is also different as it has female threads and a flat gasket versus the male threads and the o-ring gasket. The portafilter gasket is square and flat versus the o-ring style on the newer ones. No safeties except for the pressure relief valve. This means you can burn it up. A brass ring mounts the boiler to the base requiring a spanner to remove. 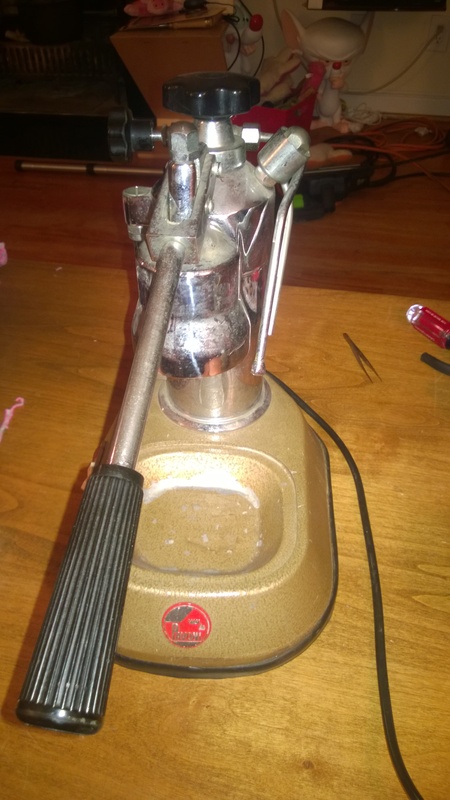 A 1974 La Pavoni Europiccola I found on ebay for a pretty good deal. I picked it up as a spare to my 72 and 73. It is missing the porta-filter and the grate but those can be easily sourced. This base is a bit worn on the paint side so my plan is to powder coat it. Now to powder coat or paint, the boiler first has to be removed from the base. As you can see before the boiler can be removed the element has to be removed. 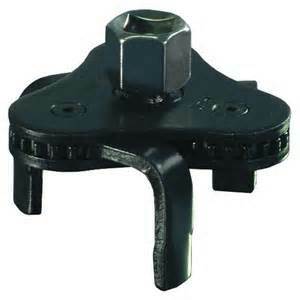 As shown here, the three leg oil filter wrench is useful in removing boiler heating elements. This can be found on amazon or your local auto parts store usually. There is a smaller version and it is not nearly as useful or as strong. 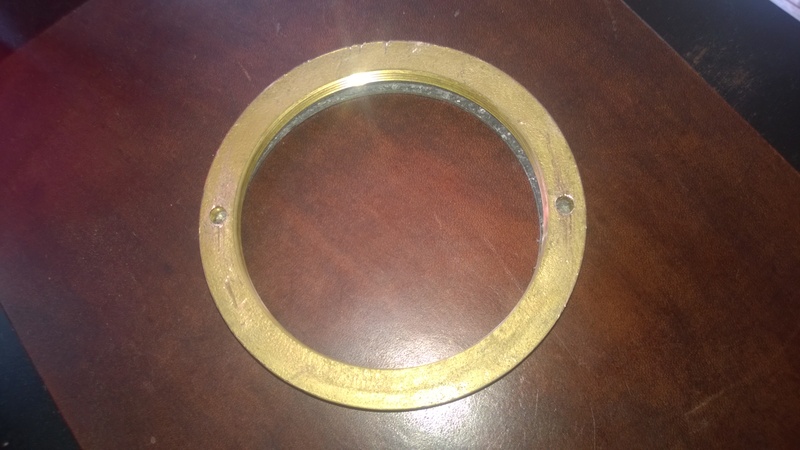 The next obstacle in removing the boiler once the element is removed is the brass ring. You’ll see in the photo there is a hole on the left side. There is a corresponding hole on the right side. Previously I have tried using the oil filter wrench but there is not enough room to get in between the base and the ring properly. 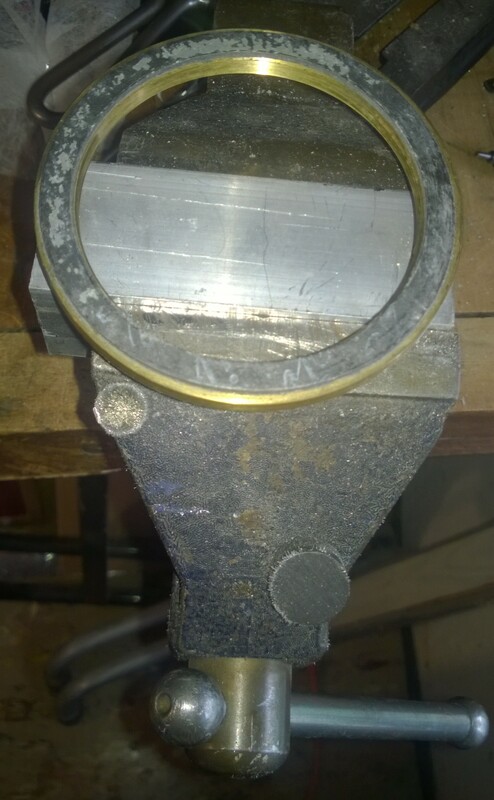 Next option, put to 5/32″ drill bits in a metal or wood vise the width of the ring and try turning. This way actually can work but it generally bends the drill bits as they are too long to reach the ring. I then tried 3/16 steel rod filed down at the top to fit into the ring. 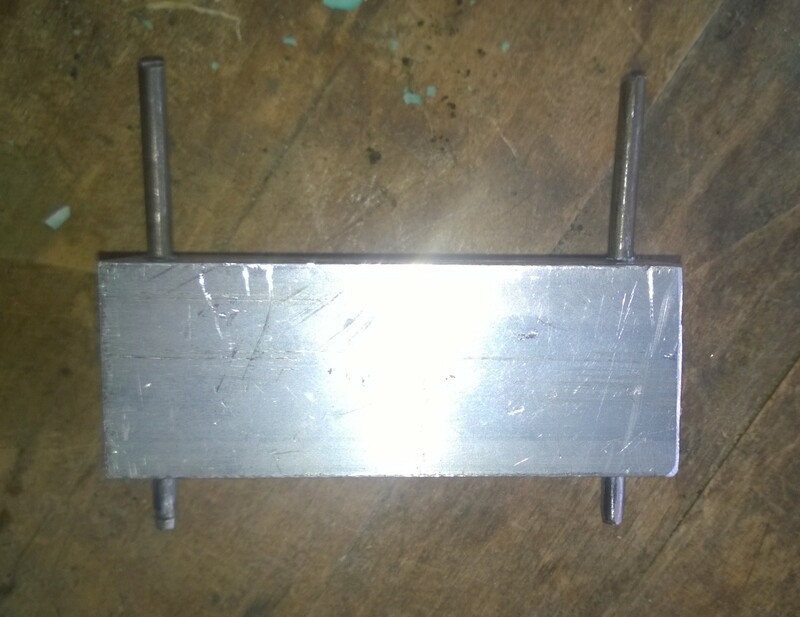 These too also bent as the base is an inch or so tall so the pins must reach from the vise. Another opting is to whack at the holes in the direction you want to turn with a brass rod, that is an option as well and I have used it but do not really recommend it. This round after taking two of these apart previously, I decided to make a proper spanner. This only took maybe 10 minutes and is really easy to do. Using the 3/16 rods I had tried to use in the vise, I straightened them back the best I could. I then dug through my scrap bin for a bit of aluminum. 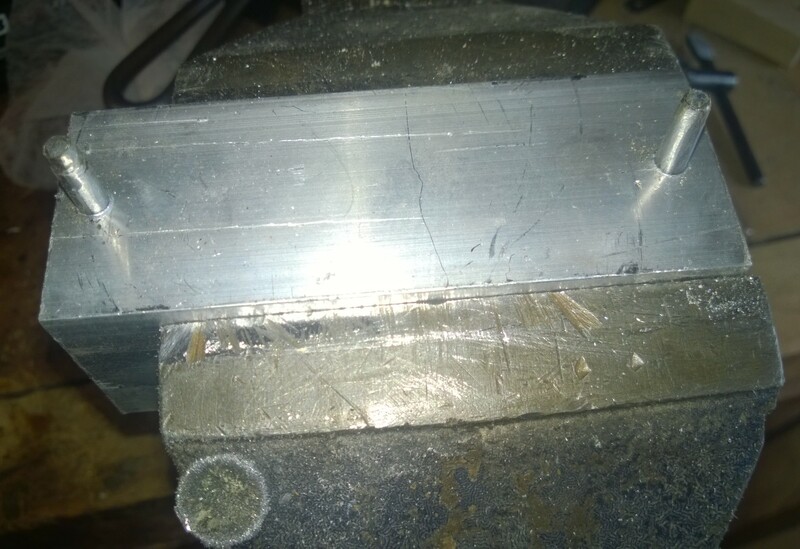 I found a piece of square channel and cut off a few inches just barely wider than the ring so it could still turn freely without hitting the sides of the base. I then drilled 2 3/16 holes the width of the holes on the boiler ring. Then I tapped the old pins through the holes with just enough sticking out to hold the ring and keep the aluminum against the boiler base. Then it was time to put it in my vise and try it out. A woodworking vise would have worked as well here. I did not trim off the excess as I didn’t have time for that though it would make it look cleaner. One could just have easily welded something out of some scrap steel. I set the entire machine on top lining up the holes with the spanner pins from below. I then simply rotated the machine with the base and group head held firmly and off the ring came. You can see the ring on the spanner. This worked really well. You can also apply some heat with a torch to the ring. 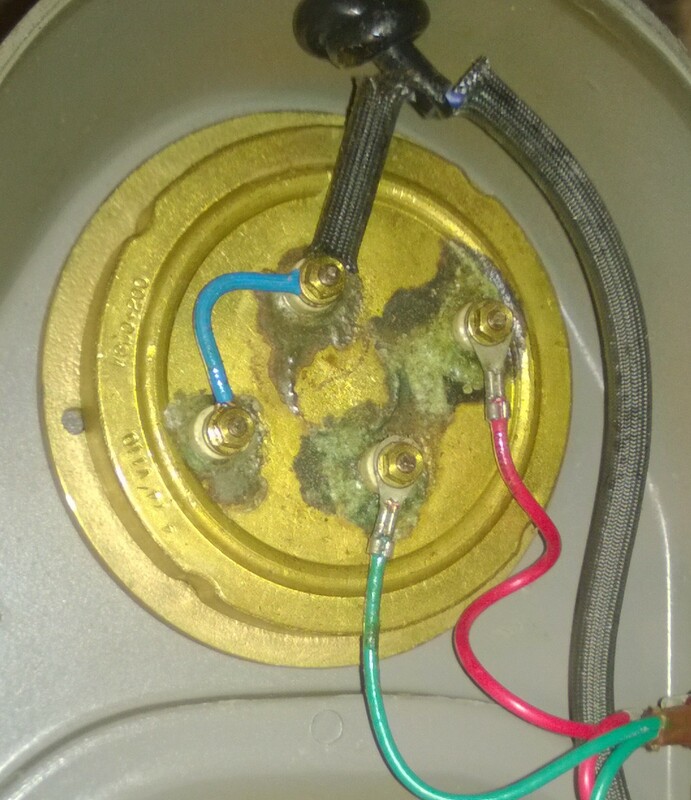 I usually need to use a torch to loosen up finicky boiler elements and rings. This time it was a very clean machine and came right off. Now with the ring off its time for powder coat. Then its new gaskets and reassembly. This unit style the 72-74 the group head does not come off. When the base is off you have easy access to the seal at the top of the group head to change it. Otherwise with the base on you are working with a mirror upside down with snap ring pliers. Both ways work but I’ll take the previous any day. Any questions please comment, I have about 7 of these machines at the moment, 4 in rebuild stages. I have a millennium but I generally stay away from later machines if possible. They both make great shots and I have had them side by side on the counter. Hi Ali, http://www.francescoceccarelli.eu/lapavoni_ep_eng.htm is a good place to go to verify your year. Regulator will have escaping steam on max, a newer teflon steam release and spring is available though it will still have steam escape as that is the regulator on this non pressurestat machine. Steam wand, make sure there is not scale in the wand or the valve, or the assembly attached to the boiler. Check out home-barista.org for a ton of resources. Also a facebook group out there. I dismantled and descaled everything, so it seems unlikely that there is a blockage. But I’ll check again. Thanks. Has to be a blockage, if you fill the boiler with water and turn it upside down, open up the steam valve , it should pour water out. If not you have a blockage. The steam valve is quite simple. In fact that is the beauty of the lever, boiler and a group. Love the old heavy switch on your version, always on so you unplug it. I encourage everyone unplug the early Pavoni’s, saves the chance to cook the element. Orphanespresso.com has all the seals if you are in the US. Is there any way to detach the group or steam “T” from the boiler that isn’t breaking it? You can make a tool like found here, http://www.francescoceccarelli.eu/La_Pavoni/Faidate/attrezzi_eng.htm . I would try not to remove it, if it is scale, pour in your water and vinegar put the cap on and turn upside down. If you do remove it you may need food grade locktite to seal it up.